There is a great deal of interest in our seminars. People travel from all over Germany and the rest of Europe to take part in our events. In turn, their feedback influences planning of subsequent events. This guarantees that we cover central concerns and difficulties regarding the topic of O-rings in a user-orientated manner. This increases the practical benefits and makes the content even more interesting. How do O-ring seals work? How can leaks be avoided? What specific O-rings are there, and what can they do? What custom treatment options, coatings, finishes etc. are there, and what do they achieve? How can using the correct O-ring seal make your work more cost-efficient? 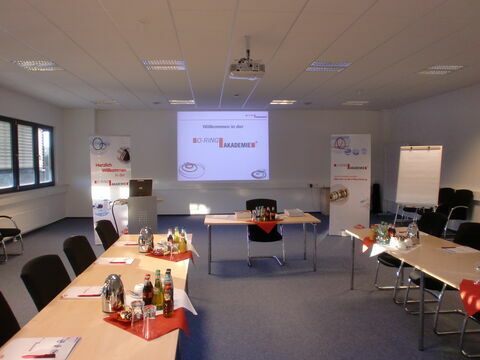 The O-Ring-Akademie®’s seminars take place in modern training rooms at COG’s headquarters in Pinneberg, near Hamburg (Gehrstücken 9, 25421 Pinneberg). Upon seminar request, we are also pleased to offer non-scheduled training for companies, individuals or groups. Our instructors can also travel to your company premises for the purpose. All you need to do is ask!